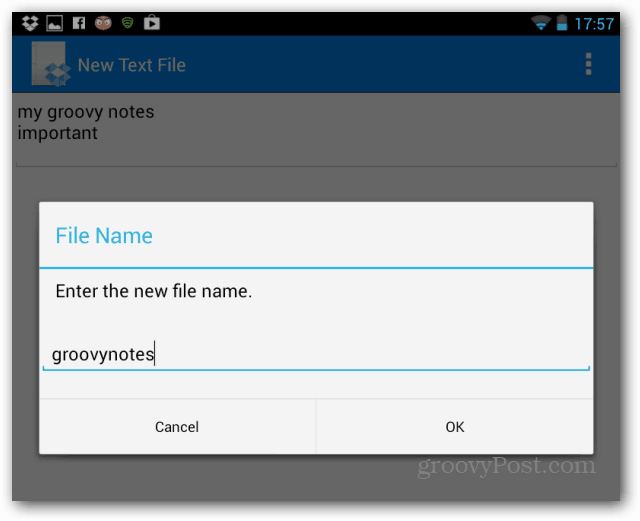 There will be times when you need to take notes on your Android device and don’t have a note taking app installed or an internet connection. Dropbox can help you out in such a situation even if you’re offline. 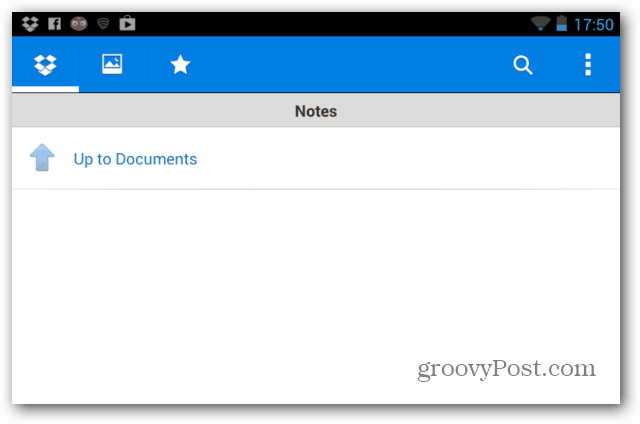 There are times when you need an app to take notes on your Android device fast. Then you realize that you don’t have one installed, or have an internet connection. But you probably have Dropbox for Android, and that means you have a solution for your problem. This issue happened to me at a conference at Mobile World Congress in Barcelona, and since the internet connection had also decided to die, I remembered this cool feature you can use in a pinch. This will work whether you’re connected to the internet or not. 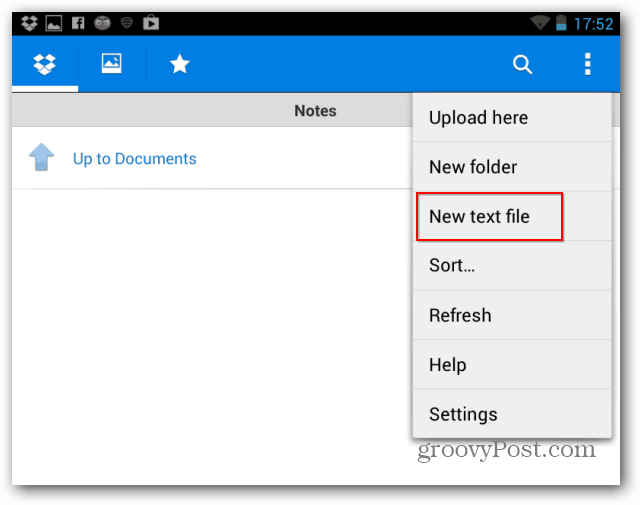 Open Dropbox for Android and choose the folder where you want to save the text file. For example, here I created a Notes folder in my Documents folder. Now to create the file, Click the Dropbox menu button on the top right side and hit New text file. Now, type whatever your note is and then click Save File in the menu that comes up when you press the button on the top right side of the screen. You’ll be asked to give your file a name. Once you do that, it will be saved as a .txt file in the folder you’ve chosen. Now, if you have an internet connection, the files will be saved right away. If you don’t Dropbox will upload it the moment you get connected. My version of Dropbox does not have a Menu button (3 vertical dots?) in the top-right hand corner of the screen. How do I access the Menu? I guess you must be running an older Android version. 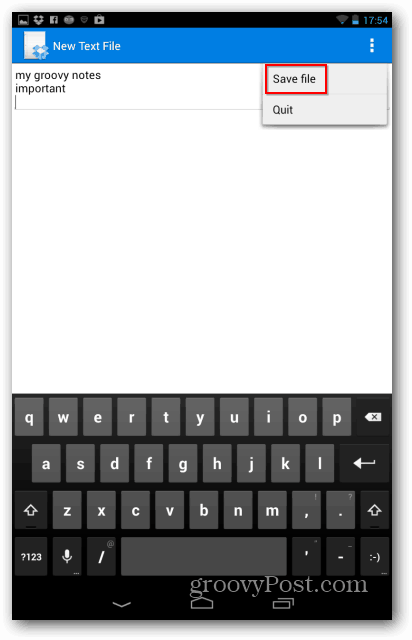 Try clicking the menu button on your smartphone or tablet. It should be under the touchscreen.